ADP Surfaces Inc. is an Orlando, Florida-based company specializing in the custom fabrication and installation of countertops. In our 25+ years of experience, we have built custom kitchens, bars, summer kitchens, bath vanities, tub decks, fireplace surrounds, and steps. We offer many types of the most popular countertop materials including natural stones, engineered stones, and acrylic surfaces. Natural stones include granite, marble, onyx, travertine, and limestone. Engineered stones or quartz surfaces include Caesarstone, Zodiaq, Cambria, Silestone, and Viatera. We also offer acrylic tops like Corian, Hi-Macs, Staron, and Livingstone. 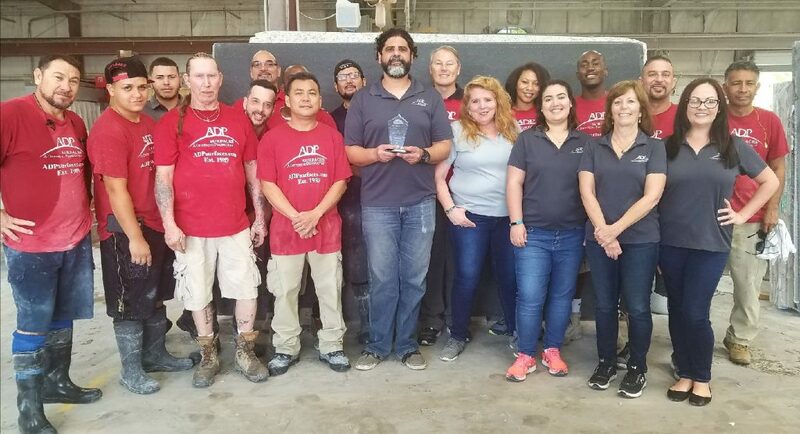 Founded in 1989, ADP Surfaces Inc. has over 25 years of experience managing successful countertop projects for Orlando, Florida’s finest residential and commercial builders, interior designers, architects, and homeowners. We are the industries leader in quality workmanship and customer satisfaction. We combine traditional stone-working methods with modern technology to ensure a consistent product. Our 40,000 square foot facility houses our beautiful slab and remnant material for our customers to view.